Page I've made in my friend's art journal - inspired by the color... and the moment. Supplies: Ecoline - watercolour paint, acrylic paint, Indian Ink, soft pencil, Paper Artsy stamps, Archival Ink (Ranger). Great page! Love the stamping on it! lovely white, black & red! 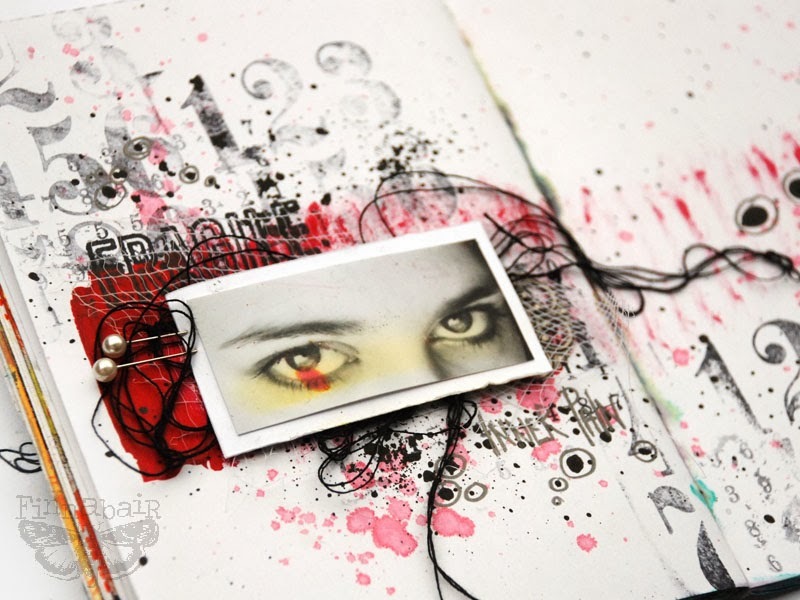 cool art journaling!